• A classroom focus that seamlessly integrates behavior management with effective classroom instruction. • Up-to-date research covering topics such as tag teaching, precision teaching, verbal behavior, autism, and computer-aided instruction. • Pedagogical strategies including in-chapter quizzes and problem-solving exercises. • A companion website featuring instructor test banks, illustrative videos, and further resources. Julie S. Vargas, Ph. D. is a former third and fourth grade teacher. 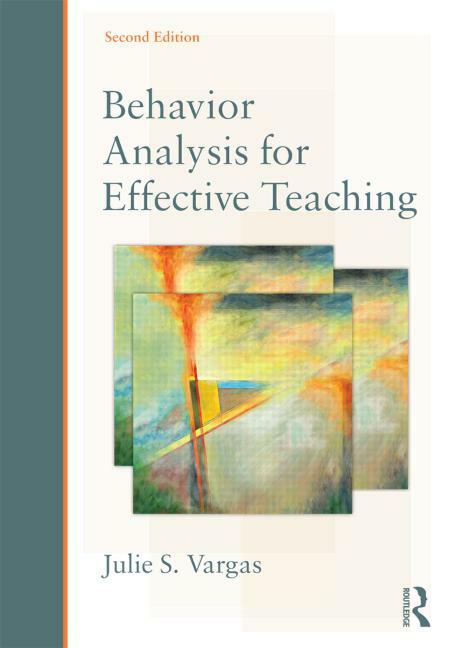 She taught behavior analysis to undergraduate education majors and practicing teachers for over 30 years. She is past president of the Association for Behavior Analysis International and one of the founding editors of The Behavior Analyst. Dr. Vargas has written three books and many chapters and articles on educational practices. She is currently President of the B. F. Skinner Foundation.